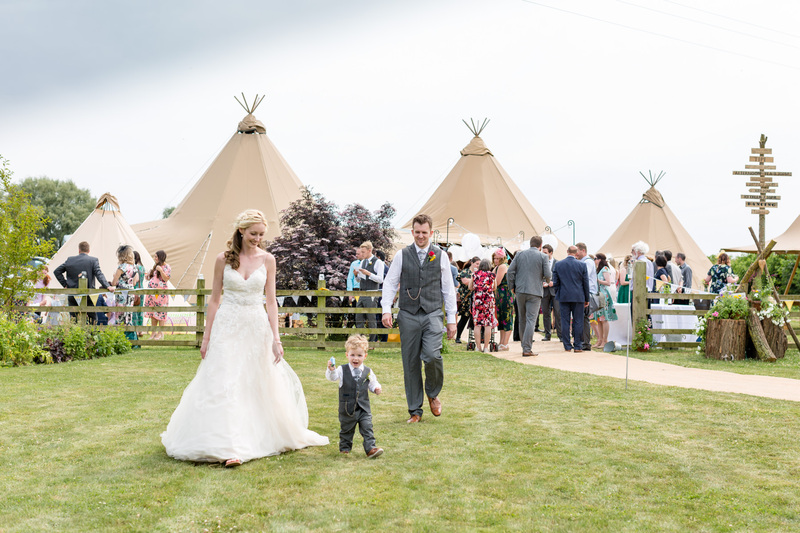 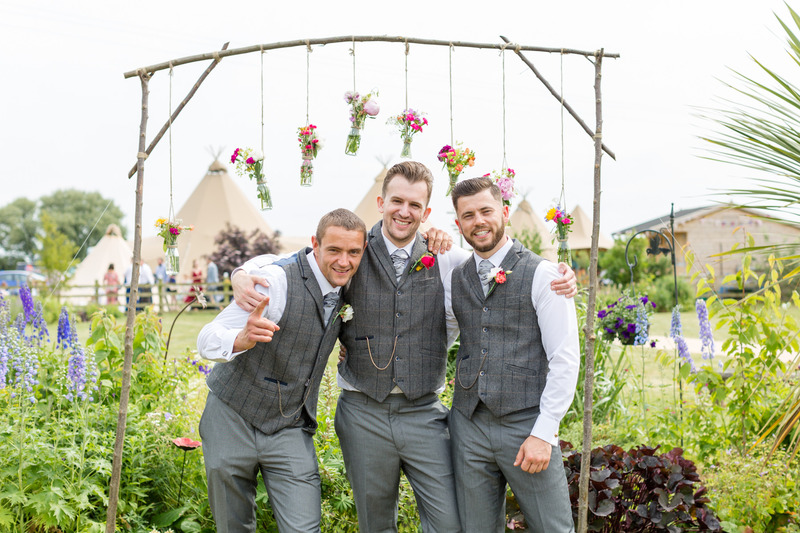 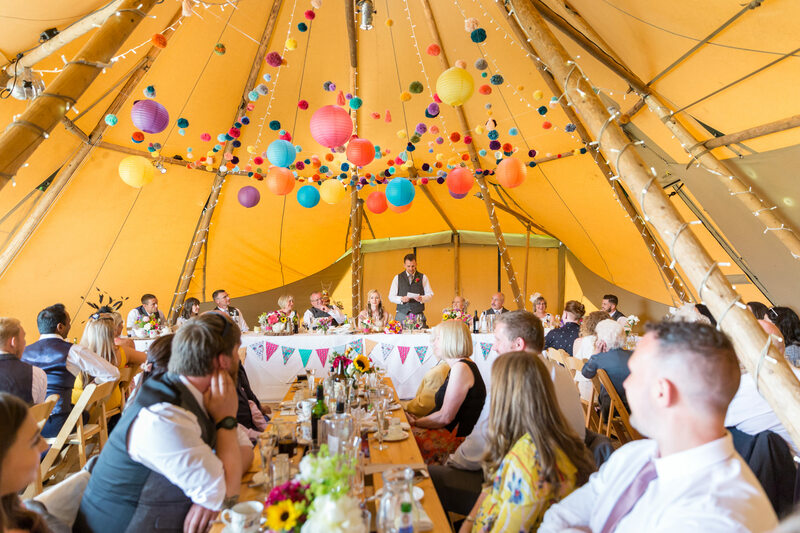 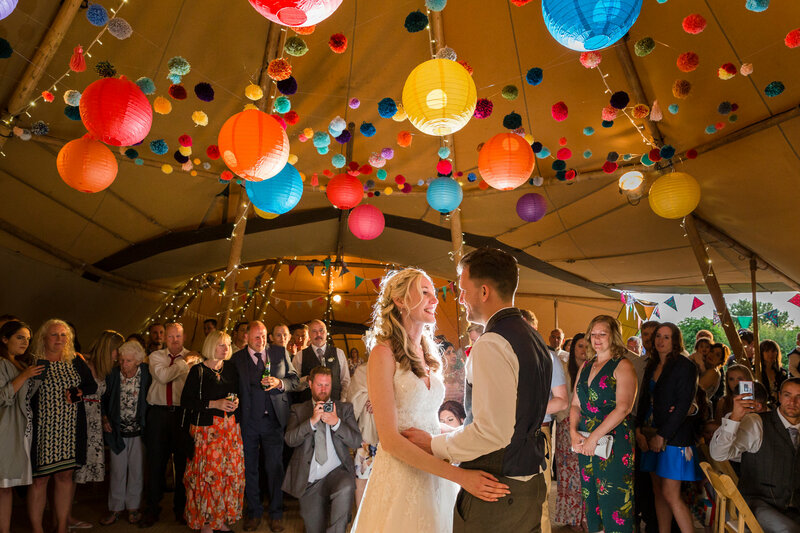 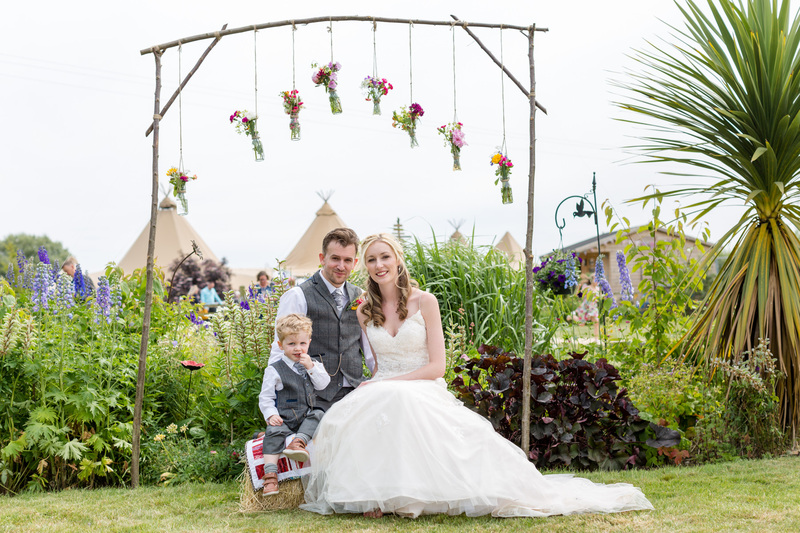 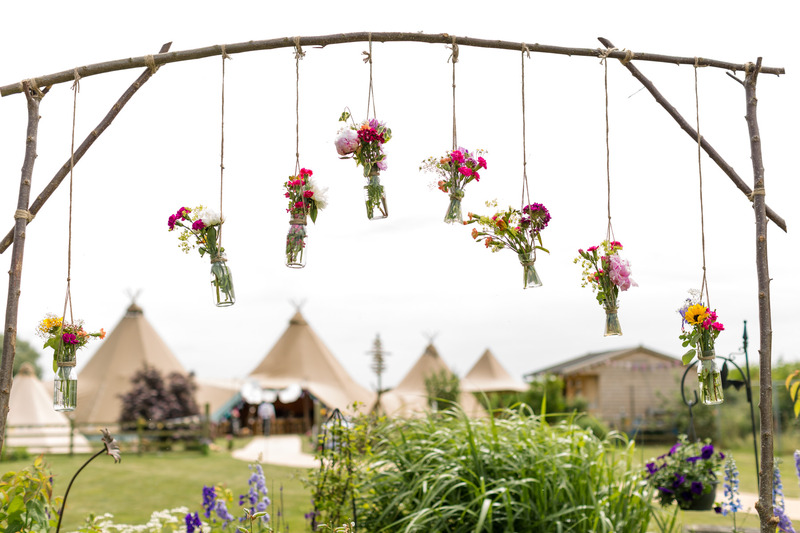 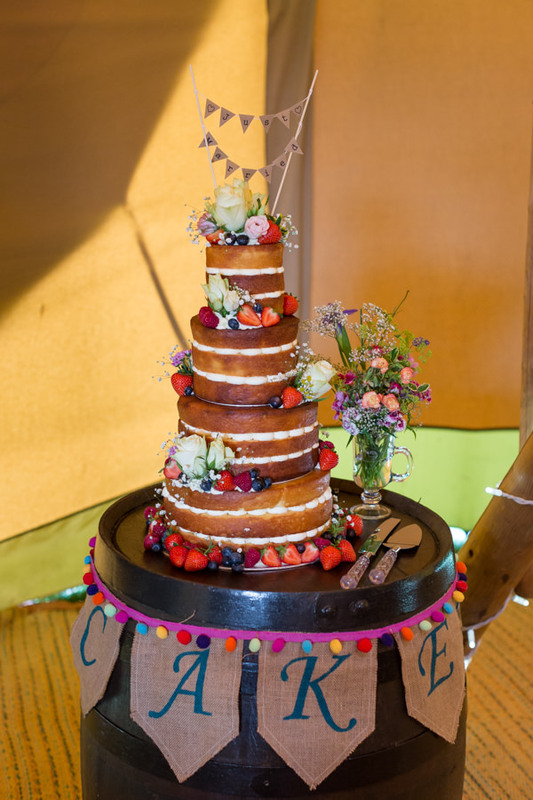 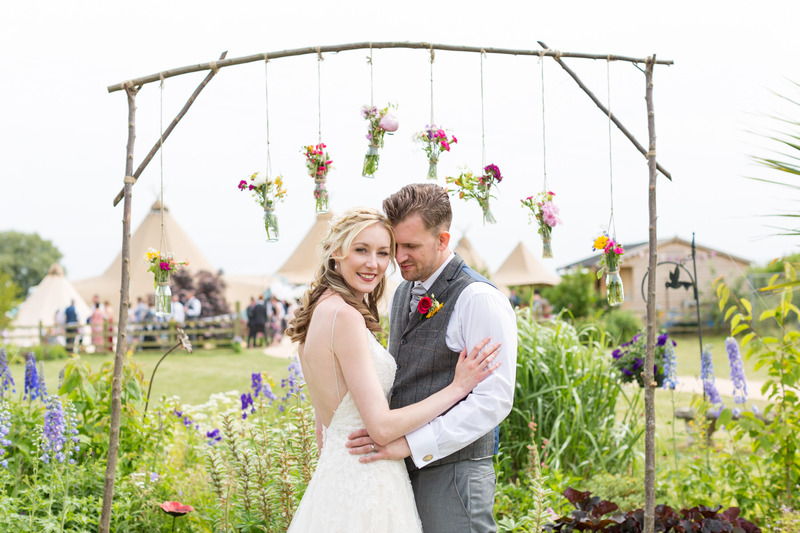 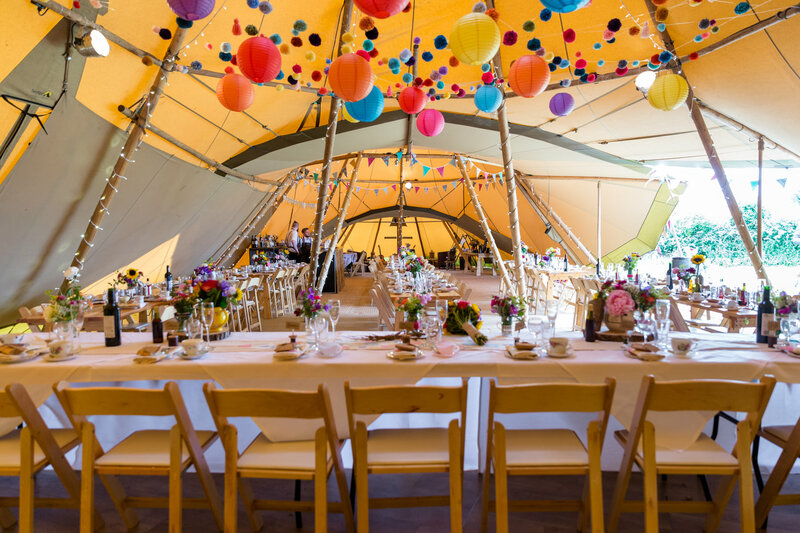 Katie & Dan’s colourful tipi wedding was all kinds of wonderful. 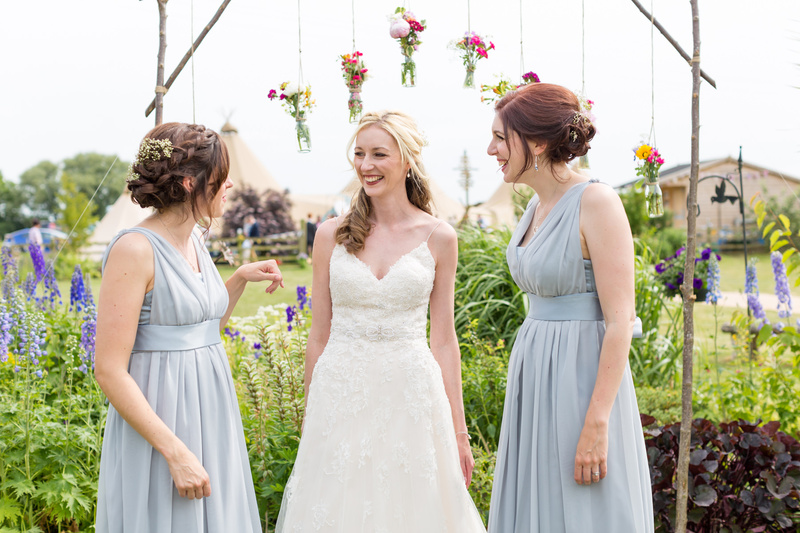 Katie is a super talented seamstress and she made so much for her wedding day. 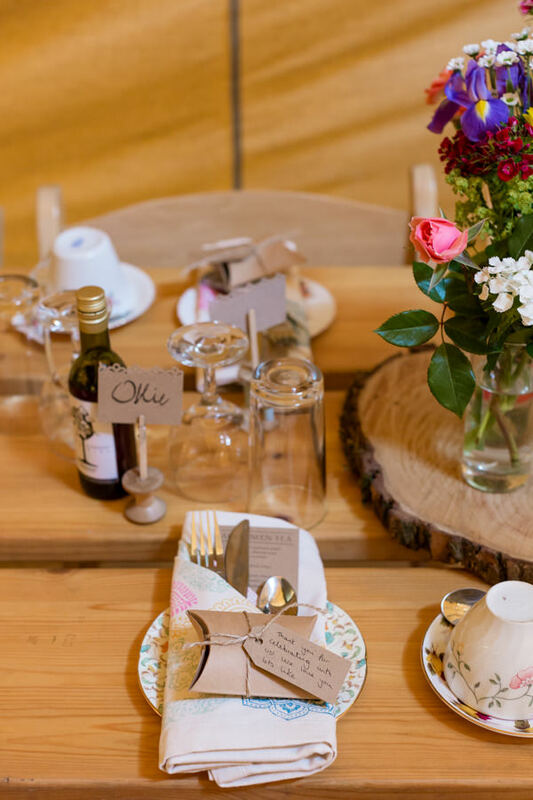 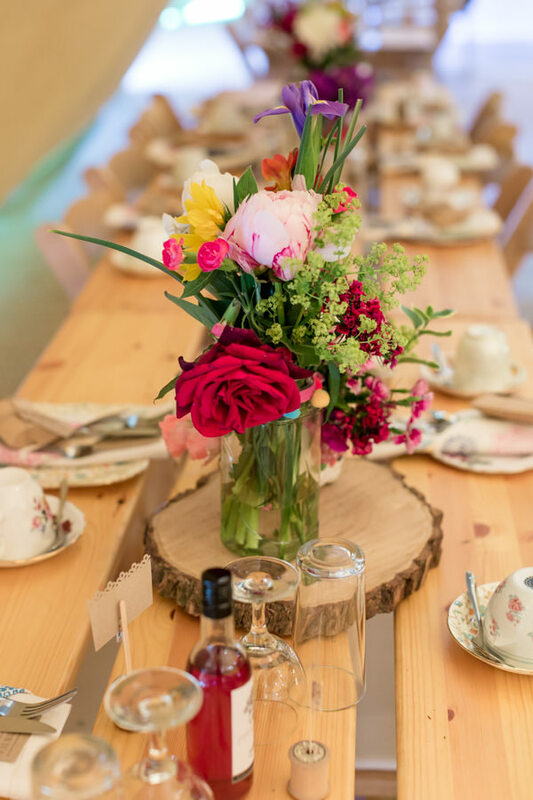 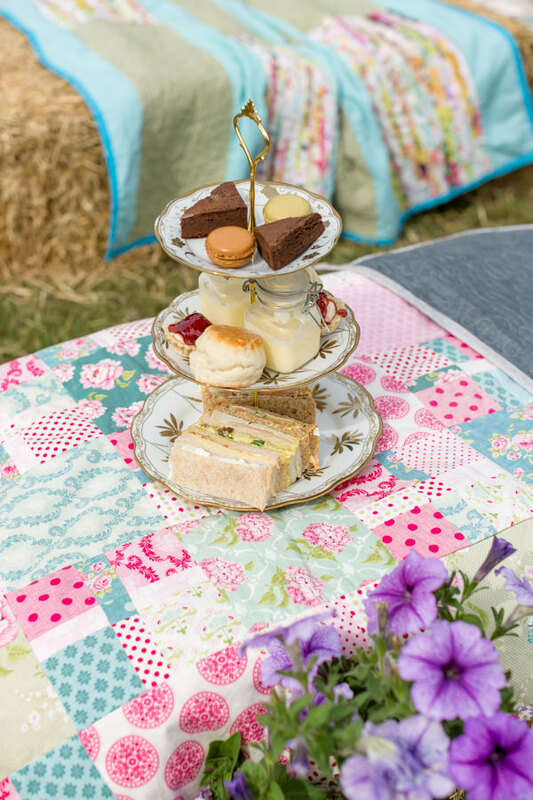 From napkins which she hand printed, place cards to signs and even her bridesmaids dresses! 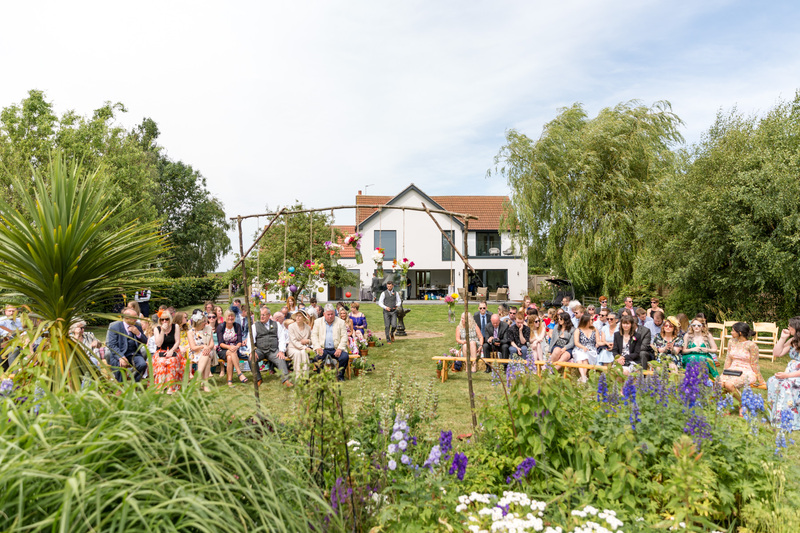 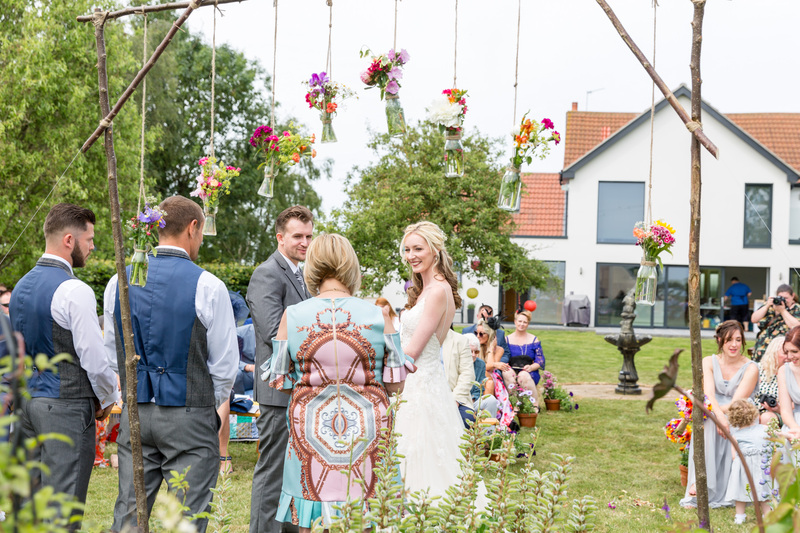 In fact lots of people contributed to this beautiful celebration, Dan’s mum made most of the pom poms single handedly and Katie’s Dad crafted their amazing flower arch frame. 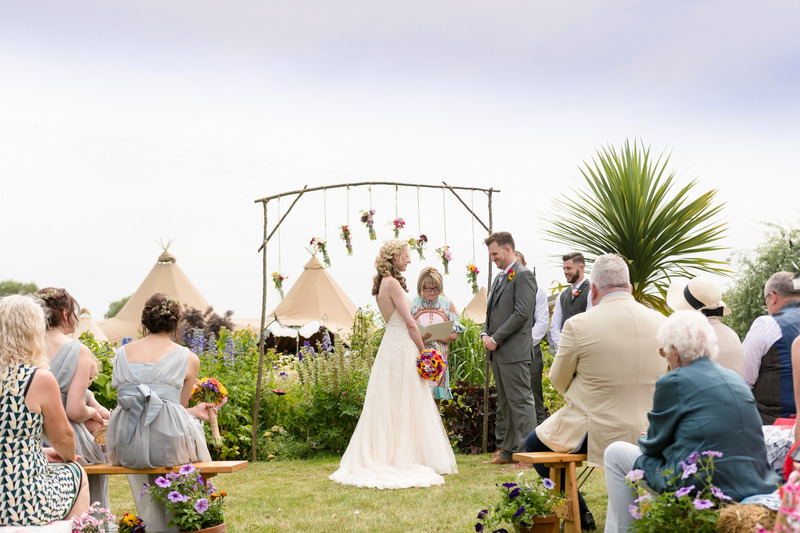 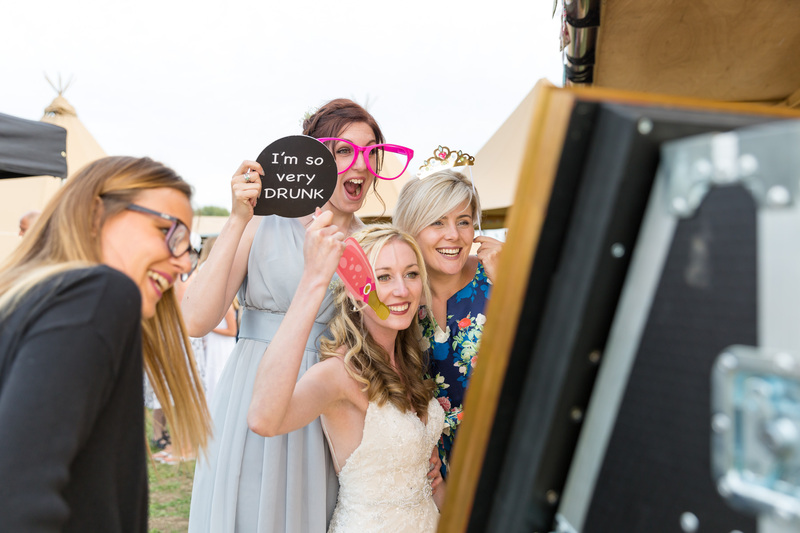 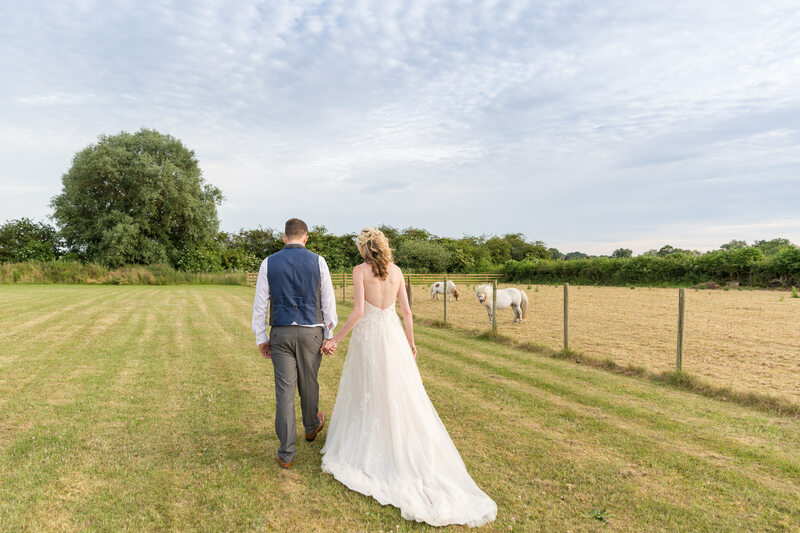 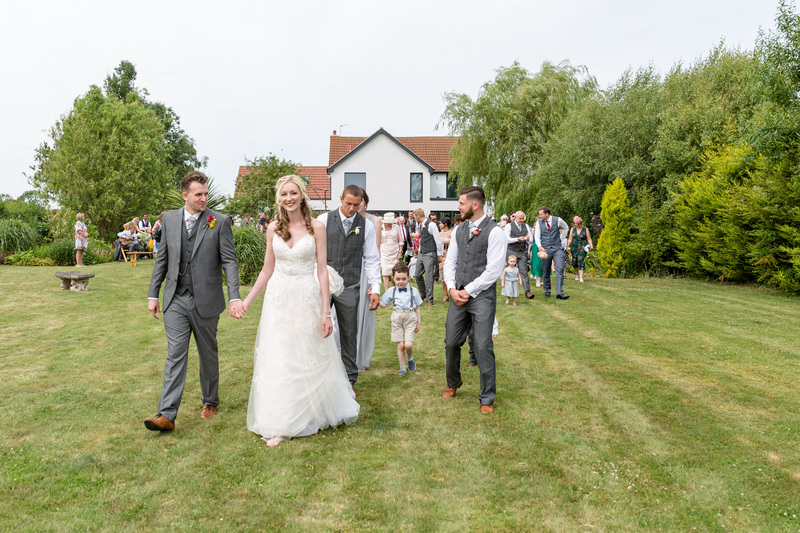 You can read all about the wedding planning in detail on Katie’s very own website ‘My wedding part one by Katie Done’. 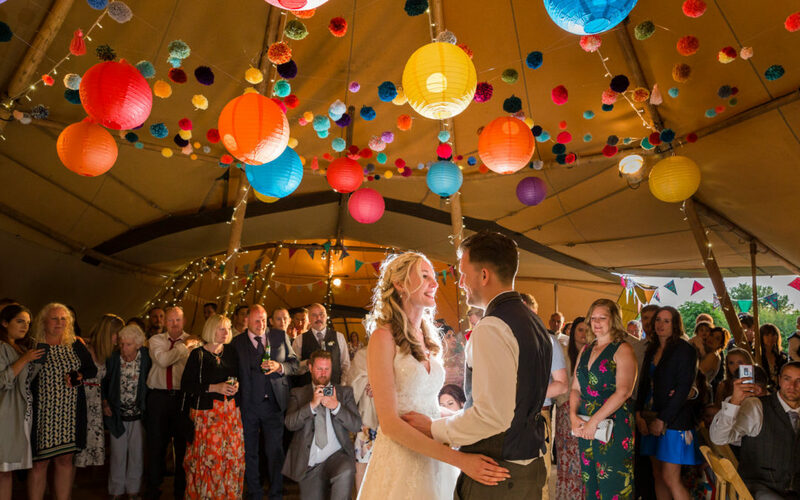 Their day was all about family, friends, relaxing, food, laughter and colour! 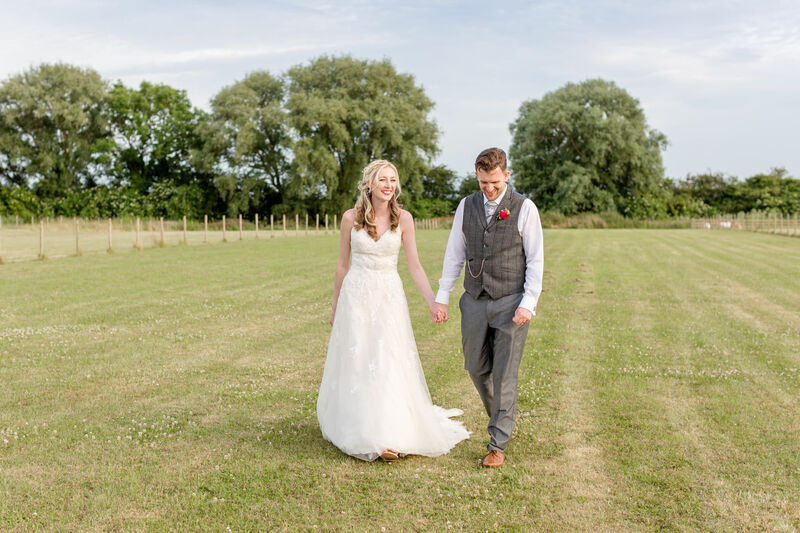 Here is a snapshot of their day for you to enjoy and you’ll find their full story over on the gallery page.